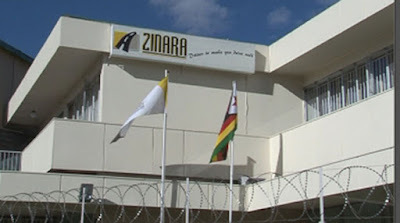 The Zimbabwe National Roads Administration (Zinara) paid out over half a million United States dollars to a non-existent company between 2012 and 2013 under its “special projects arrangement”, investigations have revealed. An audit by Grant Thornton shows that cumulatively, Zinara paid Bermipools US$589 748, 94 in two years. Grant Thornton also established that Bermipools is one of the companies that were used by Twalumba Holdings to get a contract from Zinara. Twalumba Holdings was once investigated by the Zimbabwe Anti-Corruption Commission (ZACC) over a US$2 million road rehabilitation tender involving Notify Enterprises, one of its shelf companies. However, in the case of Bermipools, checks with the Registrar of Companies showed that it is not a registered company. Further, company registration books of some of the beneficiaries of contracts awarded by Zinara under the special projects arrangement show that they were dished out to connected individuals. For instance, one contract was awarded to a company called Tencraft Construction. Among the directors of Tencraft Construction was the then principal director in the Ministry of Transport and Infrastructural Development Engineer Mufaro Eric Gumbie (now late) yet Zinara is a parastatal under the ambit of the same Ministry. Tencraft Construction was formed in 2006 under company number 1749/06. Company certificates obtained from the Registrar of Companies showed that one of the Haingate directors is Tichaona Kasukuwere. Tichaona is former Cabinet minister Saviour’s elder brother. Another contract awarded by Zinara under the same special projects arrangement was given to Haingate. Haingate was paid varying amounts also in excess of US$5 million for two special projects awarded to the company. Another company with a director known in political circles that benefitted under special projects was Badon Enterprises. The company is owned by Chegutu West legislator Cde Dexter Nduna. Cde Nduna co-owned Badon Enterprises with his wife Scholastica, making the company a Nduna family business. Evidence compiled by Grant Thornton showed that Badon received payments from Zinara between 2011 and 2015 in excess of US$5 million. Two years down the line in 2017, the company was declared insolvent. Cde Nduna told the Herald that the company had since been liquidated. He said he won the tender way before he joined politics meaning there is no connection between his political career and his Zinara contract. Cde Nduna said raising issues of debts or abuse of money against Badon Civil Engineering was now immaterial because when the company was liquidated no creditors came forward. “That company has since been liquidated,” said Cde Nduna. The Grant Thornton audit report unmasked that some contractors were overpaid and in other cases payments were made for incomplete jobs and in the absence of payment certificates as evidence of the work done.